A quality door adds eye-catching impact toe the exterior of your home. The outward appearance focuses on stunning glass areas, highlighted by bold aluminium sections styled with clean aesthetic lines that work in harmony with the character of any home. Aluminium sliding doors are some of the most consistently popular choices for the home, and it is easy to understand their timeless appeal. It is true that high quality sliding doors lend a uniquely eye-catching first impression to the exterior of your house, but it is a popularity that goes beyond their aesthetic appeal: sliding doors also afford incredible functionality, too. With excellent access, these broader doorways create a seamless transition between internal and external spaces. At the same time, the larger glass panelling increases the supply of natural daylight into your home even when closed. And, with their robust construction and a clean style within their frames, it is possible to transform the outward appearance of your residence, in an instant. 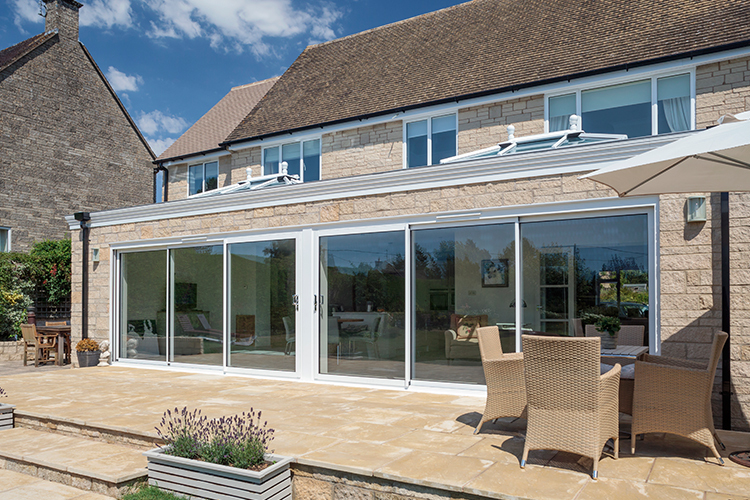 Aluminium sliding doors from Countryside Windows work in harmony with their surroundings, and blend effortlessly with the character of every home. 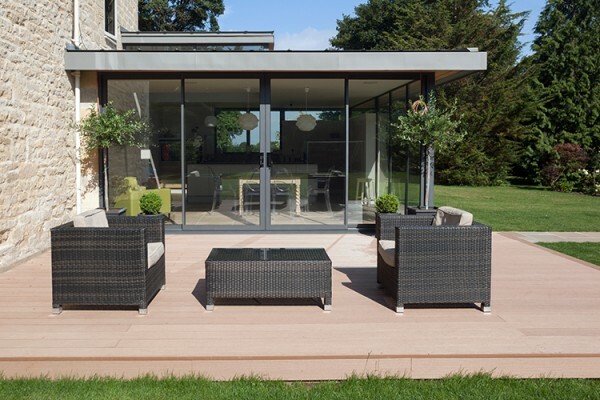 With sliding doors that are manufactured with aluminium frames, you can enjoy a number of key advantages in both design and functionality over other options; making these products an irresistible option for many of our customers. Aluminium doors offer some of the lightest, strongest, and most adaptable products in our entire range. The metal is sturdy and highly durable, even at lower weights. This allows us to keep frames and fixtures as minimal and unobtrusive as you desire. When visibility is a lesser concern, aluminium is adaptable and easy to manipulate, allowing for specialist configurations of your doors and panelling, as well as a consistently high quality of design. Our powder coated aluminium frames can be reproduced in a range of colours and finishes, meaning that you can achieve the look you want with aluminium doors, every time. Countryside windows are the experts for doors south west home owners know they can trust. The products that we choose for our customers are the very best options available today. We choose solutions for the home that combine a lightweight construction, durability, and ease of installation with an unparalleled value for money. Every one of our products is selected because it represents the highest quality of workmanship and robust engineering – as well as the practicality and elegance in design – that we know our customers expect. When shopping for the very best doors South West customers have been choosing countryside windows for more than twenty years. Our staff have a wealth of experience and industry knowledge, and we can ensure both the most suitable – and the best-fitting – sliding door solutions to match your home and budget. We can match the specifications you require, or we can source a range of options for you to choose from, and provide expert professional advice when you are not completely certain of the product that you want. We are always happy to discuss our customers’ needs, free of charge and with no obligation to buy. So contact us today, and we can help you to select the aluminium doors that will help to transform your house into an ideal home.